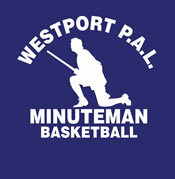 The Minuteman Basketball program is a WPAL Travel Basketball sponsored program. Directed by former Staples basketball Coach Brennan Morgan. We are privileged to have current Staples Varsity basketball players as clinician and coaches. provide your child the opportunity to develop their basketball skills through professionally-taught drills. Teams will be a boys grade 2, boys grade 3 and a girls grades 2&3. Westport Parks & Recreation 2nd or 3rd grade youth basketball program. All Sessions are on Sundays. There will not be any sessions during the February break. Our program is open to boys and girls in grades 4 through 8 (2015-16 school year). Players must be residents of Westport or attend school in Westport.